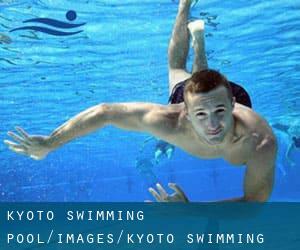 Swimia.com wants your feedback on Aquagym in Kyoto to ensure all the information about swimming in Kyoto is valid. We probably don't know all of the Pools in Kyoto. Are you missing any? Contact us!. Traveling to Kyoto? This is the perfect spot on the internet to locate locations to swim in Kyoto. Every day you will be not swimming you might be losing precious time in improving your expertise to be a much better swimmer! No more excuses! Find your nearest Kyoto Pool and tell us how it went. 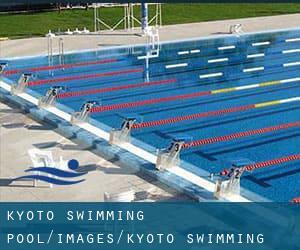 The most beneficial varieties of Kyoto Swimming Pool (City) are located mainly in massive cities, but it is also quick to find public pools in rural areas. Before trying any pool, be sure you know the rules and regulations for varieties of Kyoto Swimming Pool (City) as they may not be the same as in your home town. We advise you make contact with the pool directly to ask if you will need a hat, and what type of footwear or distinct clothing you will need. Thanks to some new pools submitted by swimmers like you, Swimia.com is increasing in the day-to-day number of stored pools. Please do not hesitate to get in touch with us if you come across any Kyoto Pool with inaccurate or incomplete facts. Updated on 2019 Keage , Sanjo , Higashiyama-ku , Kyoto , JAPAN (Postal Code: 605-0052). Swimmers like you reported 20 meters, 4 lanes, 1.1 meters depth, 1.1 meters depth, Indoors. Unfortunately we do not have the e-mail address of this Pool, but we can give you the phone number. 254 Donomae , Rokkaku Higashinotoin-nishi-iru , Nakagyo-ku , Kyoto , JAPAN (Postal Code: 604-8134). Swimmers like you reported 25 meters, 3 lanes, Indoors. Unfortunately we do not have the email address of this Swimming Pool, but we can give you the phone number. JR Train Station , Chuo-guchi , Shiokoji-sagaru , Karasumadori , Shimogyo-ku , Kyoto , JAPAN (Postal Code: 600-8216). Swimmers like you reported 25 meters, 3 lanes, Indoors. Unfortunately we do not have the email address of this Swimming Pool, but we can provide you with the phone number. Exchange Town 2 Chome 348-1 , Fushimi-ku , Kyoto , JAPAN (Postal Code: 612-8082). Among all the activities offered by the center, if you are interested in swimming you may delight in 25 meters, 8 lanes, Indoors. Just in case you want to contact this Swimming Pool before dropping by, we only know the phone number. Kudaru-Kujo , Shinmachi-dori , Minami-ku , Kyoto , JAPAN (Postal Code: 601-8047). Among all the activities offered by the center, when you are enthusiastic about swimming you may appreciate 25 meters, Indoors. Just in case you would like to contact this Swimming Pool before dropping by, we only know the phone number. 1-2, Minammida-machi Nishi-Kujo , Minami-ku , Kyoto , JAPAN (Postal Code: 601-8441). Among all of the activities offered by the center, for anyone who is considering swimming you can appreciate 25 meters, 6 lanes, Indoors. Just in case you desire to contact this Swimming Pool before dropping by, we only know the phone number. Daimaru Mall , Tract B5 6F Floor , Yamashina-ku , Kyoto , JAPAN (Postal Code: 607-8080). This sports center delivers 25 meters, 5 lanes, Indoors. For this Swimming Pool, only phone number is number here. Nijo Castle-Mae , Horikawa-dori , Nakaygo-ku , Kyoto , JAPAN (Postal Code: 604-0055). Among all the activities offered by the center, when you are thinking about swimming you might delight in 18 meters, 4 lanes, Indoors. Just in case you wish to get in touch with this Swimming Pool before dropping by, we only know the phone number. One from the advantages of outdoor swimming in Kyoto will be the possibility to sunbathe during the summer season. Taking it with extra care, sunbathing is healthy since introduces Vitamin D into the body, so the right option seems to be switching between indoor and outdoor pools depending on the season. There are a few reasons why you might want to choose a heated swimming pool in Kyoto. The most critical one relies on the importance of keeping the body temperature stable. When the water is as well cold, your body will try to warm it up and you will shed strength to swim correctly. Enjoy the best indoor pools in Kyoto and don't worry about the weather. These facilities are open all seasons and you can enjoy a swim at the same temperature every day of the year.